You have the right to not to be subject to a decision based solely on automated processing. Processing is "automated" where it is carried out without human intervention and where it produces legal effects or significantly affects you. If you wish to exercise any of the above rights, you can contact your Club via email to Secretary.stperegrines.dublin@gaa.ie. or the GAA Data Protection Officer on 01 8658600 or dataprotection@gaa.ie. General Information Information relating to Data Protection and GDPR is available on the Data Protection Commissioner’s website http://www.dataprotection.ie. 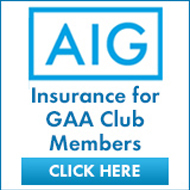 Additional information and how data protection specifically impacts on the GAA and supporting templates, forms and process documentation is available on the GAA website http://www.gaa.ie/ dataprotection. Queries and Support Queries regarding Data Protection can be sent to dataprotection@gaa.ie. All GAA members and Club Officials are encouraged to review the content to familiarise themselves with the requirements of GDPR.